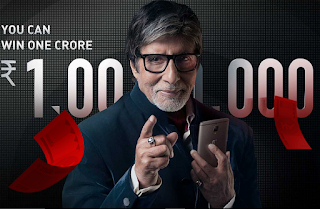 Hello friend OnePlus is back with its new contest in which you can get Amazon vouchers worth Rs. 2000, Rs. 800, Rs. 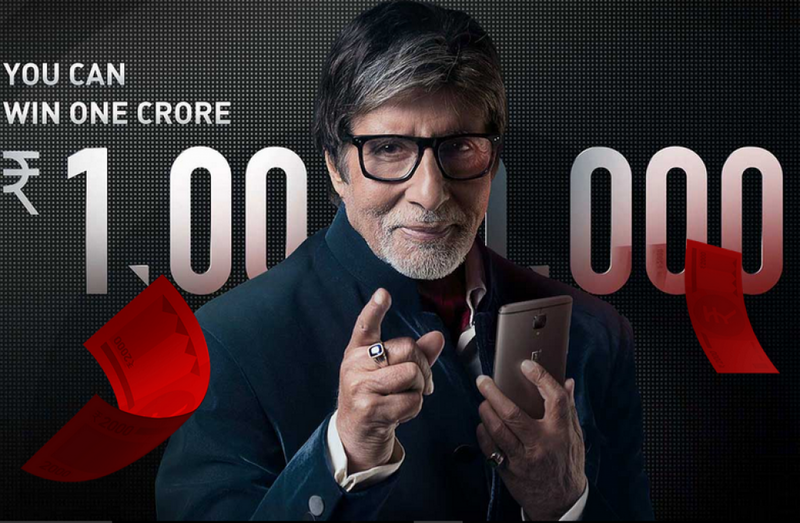 500 and you can also get a new OnePlus 3T mobile phone and also stand a chance to win 1 crore rupees. Earlier OnePlus December sale gives bags, covers, earphone, powerbank and also OnePlus 3T mobile. How to Register in One Plus Contest? First of all open sign up page by clicking here. Upon sign up you’ll be asked a question, “Which is the best rated smartphone ?” – OnePlus 3T. Now complete the first task by sharing either on Facebook OR Twitter. You have to Come back on 15, 22, 29, 5, 12th to Complete your remaining Task to earn more points. Collect points and redeem them against exciting vouchers & other prizes. 1200 points can redeem against Rs. 2000 Amazon Gift Card or Lucky Draw Ticket. The weekly task is unlocked every Wednesday from March 9th to April 12th. Participants must invite new users to participate in the ‘Best Smartphone Contest’ to be eligible for the leader board challenge. The leader board challenge will start on 9th March, 2017 and end on 19th April, 2017. Each participant will be given a unique URL which they can share through email, social media, SMS etc. with their friends and invite them to participate in the contest using that unique URL. For every new user invited, participants advance further up on the leaderboard. 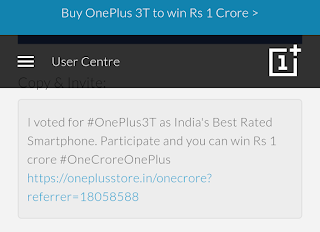 Participation of new user through URLs gets recorded once the new user enters the ‘Best Smartphone Contest’ from the frontpage of ‘Best Smartphone Contest’. 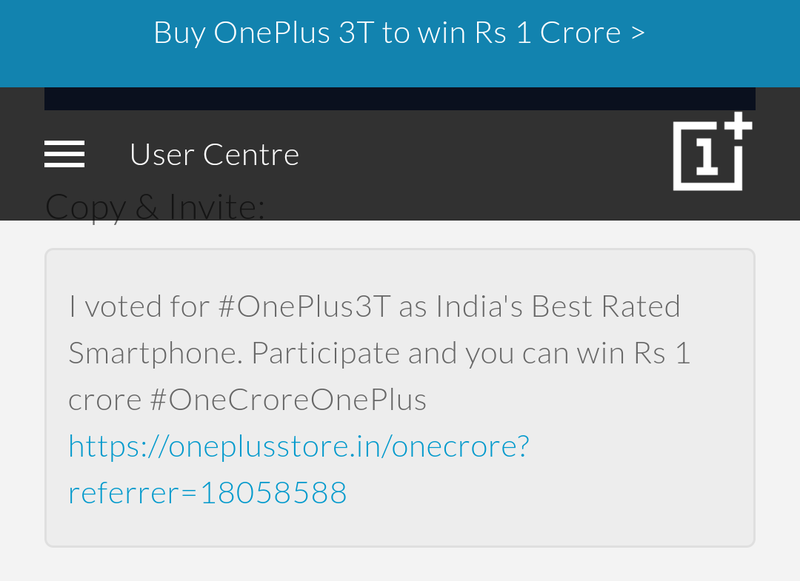 The top 10 users with most invitees against their URLs win OnePlus 3T gunmetal 64GB phones. In the event of a draw for these top 10 spots, OnePlus India reserves the right to choose the winner at their discretion. Hope you will take part in this contest and will win something big. Thanks for reading this post.